Hull Vane will present a new paper at the FAST Conference 27-29 September in Nantes, France. Visitors of the Defence and Security Event DSEI will get a sneak preview. The paper compares the performance of a naval ship with an appended Hull Vane®, and an integrated Hull Vane®, with both the benchmark 61 metre OPV and a lengthened version of the benchmark. The paper was written in collaboration with Damen, and answers some frequently asked questions, such as “Can I achieve the same savings by simply lengthening the vessel?” and “How does an integrated Hull Vane® compare to an appended Hull Vane®?”. Visitors of the leading Defence and Security Event DSEI, taking place in London from 12 to 15 September, will be able to get a sneak preview of the paper at Hull Vane’s booth in the Holland Pavilion on N9-110. It will also be a good opportunity to hear more about some of Hull Vane’s other naval projects, such as the recently completed model testing program at MARIN on the 108 m Holland Class OPVs of the Royal Dutch Navy. 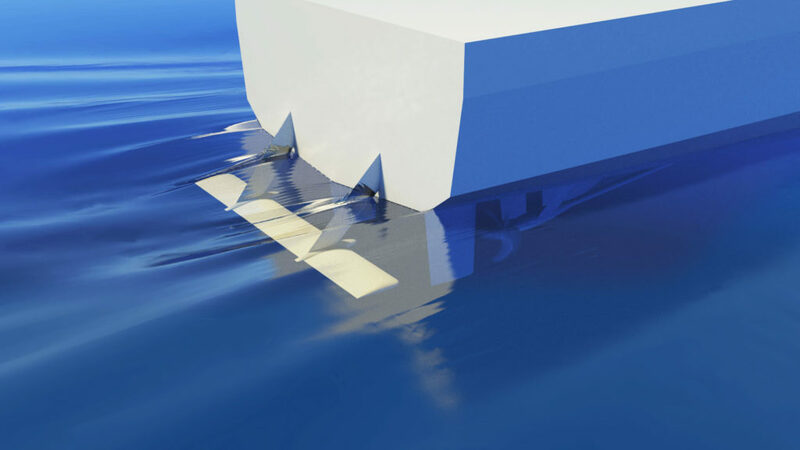 The Hull Vane® is a patented energy saving device, which uses a hydrofoil at the stern to reduce the resistance of relatively fast displacement ships and their motions in waves. On suitable ships, such as OPV’s, corvettes and frigates, energy savings are typically 10 to 20%, leading to a longer tactical range, reduced propulsion power, lower lifecycle costs and improved seakeeping. 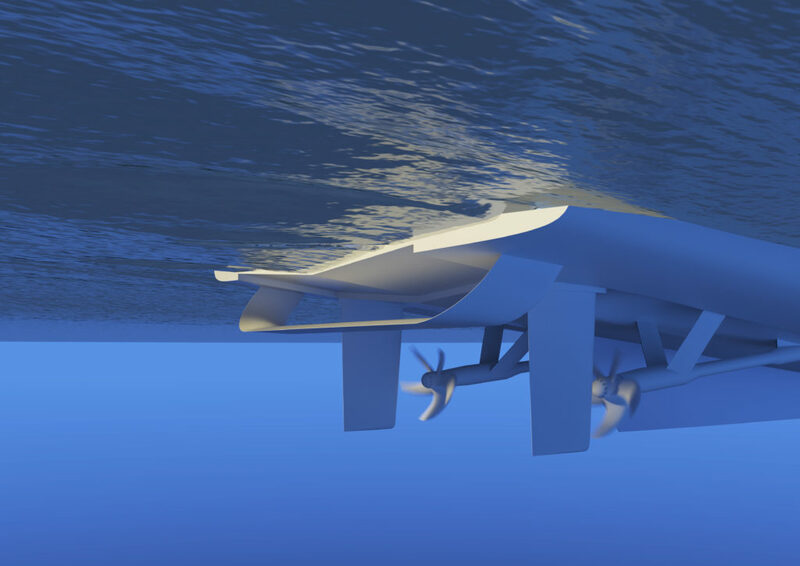 Due to its simplicity and effectiveness, the Hull Vane® has been called “the bulbous bow of the stern” and – more in line with its looks – “the underwater spoiler”. The Hull Vane® has been applied on five ships that are now sailing . Another eight ships with Hull Vane® are currently under construction. Hull Vane BV was established in 2014 after many years of research and development.